Maintaining Your Glock | Eagle Gun Range Inc. There are only two kinds of components in a Glock pistol: those that have broken and those that will break. Despite the well-deserved reputation for being tough as nails, every component in your Glock pistol will fail at some point. If you shoot it enough. Best learn how to maintain your Glock and learn when and how to replace parts before one of them fails you at an inconvenient time. In just the past 2 years, I’ve fired 70,000+ rounds with my Glock pistols in training and competition. I mention this fact because even though I fastidiously maintain my Glocks, those 70k shots (55K of them on just one G19) have exposed some interesting and instructive maintenance issues. In light of that experience, I’ll share here some recommendations for maintaining a Glock pistol for a long service life and a high degree of reliability. Of course, nothing is certain with mechanical devices, but these steps I’ll share here will ensure you’re meeting your responsibilities and doing your part to mitigate destructive or life-threatening chance. Even so, be advised of one certainty: your mileage may vary. Firearms ownership brings with it certain responsibilities. Among them is the responsibility to keep an accurate round count for every firearm you own—AND—for each of its components. Unless you keep an accurate round count for every component in every gun, and act on it when appropriate, you will suffer an inconvenient or possibly life-threatening failure while training or defending your life. Not may, but will. Every time you replace a component (well before it fails), log the date and round count and then record the target round count for its next replacement. Refer to and record your round counts every time you shoot your pistol. When the count crosses the appropriate threshold for a particular component’s lifespan, replace it and carry on. We’ll have a look at component lifespan in a moment. First of all, clean your Glock every time you shoot it. Keep that thing as clean as brand new and it’ll run for a long time. Additionally, I recommend a complete-disassembly detail cleaning every 2000 rounds because I find that it takes that many rounds to get the internal parts dirty enough to cause concern. As with everything in pistol maintenance, I’m erring on the side of caution rather than pressing my luck. My Glock 19 after 2 years and 55,000 rounds fired. Thus far I have several times replaced the recoil spring, trigger spring, and slide stop spring, and have replaced the extractor, magazine catch spring, striker spring, and spring cups once each. For a detail cleaning, disassemble your Glock to this point and thoroughly clean every component. Be sure each component is completely dry before you reassemble. After completely disassembling the slide and frame, thoroughly clean each component and clean every cavity in the slide and frame. I recommend that you not remove the magazine catch and spring or the slide lock spring except for replacement, as doing so can damage and weaken those springs. I recommend that you use only dry Q-tips or other dry materials to clean inside the slide cavities for the striker and extractor. You do not want an even slightly wet surface in your striker channel. Regardless of how you clean the rest of the components, be sure to dry them off completely with a dry patch before reassembly. Really dirty components that need extra attention include the extractor (especially the blade edge/groove), the firing pin safety plunger, and the business end of the striker. I use Rem Oil wipes or a Rem Oil-moistened patch to really dig into those parts with my finger nails to get the gunpowder residue off completely. There is no way to know when a component will fail on any firearm. Therefore, responsibility requires we replace components at advisable round-count intervals. It’s best to replace parts before you believe there is a need to do so! Most little Glock parts are quite inexpensive and I recommend that you have a couple of each on hand for each of your Glocks at all times. That way, when you do experience a failure—and if you train much at all you WILL experience a failure—you can simply drop in the new replacement without having to order and wait for arrival. 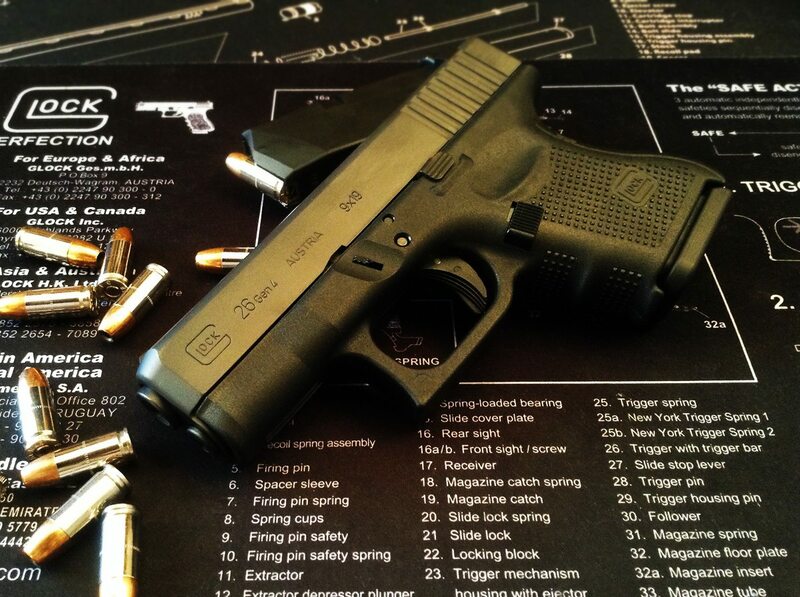 There are a handful of Glock pistol components that wear out faster than the others and require regular replacement. These include the recoil spring assembly, the trigger spring, the slide lock spring, and the magazine catch spring. The recoil spring is the backbone of your pistol. There are a lot of ideas and preferences on when to replace the recoil spring to, a) prevent cycling issues, and b) to prevent breakage of the locking block pin. I’ll recommend that you replace the recoil spring for (grossly overpresured) .40 cal and .357 Sig every 3000 to 5000 rounds. For .380, 9mm, .45, and 10mm I recommend replacing every 5000 to 10,000 rounds. I also recommend that you use only Glock factory recoil springs. I’ve tried a few others and not once has any non-Glock-OEM recoil spring lasted more than 1000 rounds before it either broke or started causing cycling issues. Plenty of other non-OEM parts can work just fine in a Glock, but I find there is no substitute for a Glock recoil spring if you’re at all interested in reliability. Here, again, your mileage may vary. Recoil spring assemblies typically cost anywhere from $7 to $20. You might also consider periodically replacing your locking block pin every 30,000 to 40,000 rounds for about $3. With a broken trigger spring, you don’t own a pistol so much as you own a paperweight. I’ve never experienced a broken trigger spring on my Glocks. I’ve read that one should replace the trigger spring every 10,000 rounds, so that’s what I’ve done. A trigger spring failure is one I’m not willing to tempt, since they only cost about $2. That’s cheap; especially as compared to a potentially life-threatening failure. With a broken slide lock spring, your slide will slide right off the frame. The slide lock is the mechanism you use to take down your Glock. The two tabs sticking out either side of the frame are the edges of the slide lock. The all-important spring sits recessed into the frame and occasionally it will just break in half. The one on my Glock 19 Gen 4 broke after 31,000 rounds (I should have replaced it earlier!). I recommend you replace the slide lock spring every 10,000 rounds or so. These springs cost around $3. A broken magazine catch spring means your pistol can’t hold a magazine, which will fall right out. The magazine catch spring in my Glock 19 Gen 4 broke after 51,000 rounds. 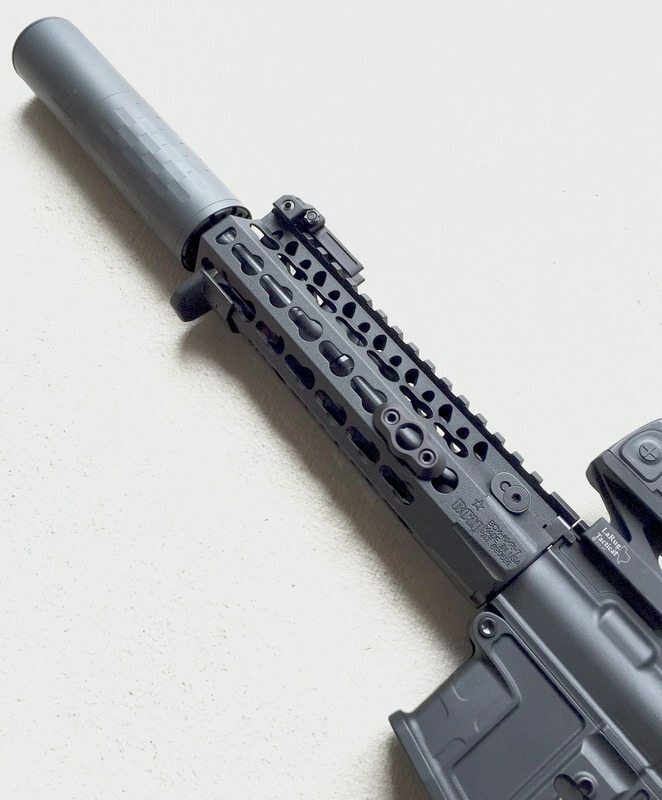 It’s a spring recessed deep into the interior of the grip that you’ll never need to remove unless you’re replacing it or removing or replacing your magazine release. I’ve never seen data on how often these break, but you can’t run your Glock without one. They cost around $3. I’ll recommend replacing every 20,000 rounds or so. I mention this one only because it’s not uncommon that it needs replacement, but not necessarily because of wear. I bent a slide stop lever spring only once, I think it was during the first detail cleaning of my first Glock pistol. I’ve read that it’s a common tale, though. The slide stop lever (not “slide release”) spring isn’t really prone to failure due to shooting or use, but it’s a delicate spring and can easily be bent. When you disassemble your pistol, it’s not uncommon for the end of the spring to catch on something and get bent. It’s also vulnerable to being bent accidentally when you’re cleaning the slide stop lever with a patch. While it’s possible you can bend the spring back into proper shape, it is not likely. Don’t try to fit a new spring, but instead just replace the lever & spring assembly for about $7. I’d recommend replacing the striker spring and spring cups every 20,000 rounds or so, but I’ve not seen any official recommendation. It’s a vital spring and the spring cups are quite delicate. These components are part of a violent mechanical process for every trigger pull, so wear is a factor. The spring and the cups set each cost about $3. The striker is probably a lifetime component in a Glock, but I’d recommend replacing every 40,000 rounds or so. Especially if you engage in dry-fire practice on a regular basis (you do, right?). Yes, other parts can break, but these aforementioned components are the likeliest to fail and require responsible attention to their condition, function, and periodic replacement. A Glock pistol’s strong and simple construction gives it an inherent predisposition to just keep running under all sorts of adverse conditions, but to keep it running for years and years and for thousands and thousands of rounds, it is best to maintain it like new. Especially if it’s something you carry every day to help preserve your life. In addition to the components cited here, be sure to give ALL of your pistol components a quick check every time you clean it. Breech faces can crack, slide rails can break out of the frame, frames can be damaged, sides can crack, etc. These failings are not common, but do happen. If you take care of your Glock, you can be sure it will take care of you in return. Thank you very much for this informative essay on Glock maintenance. The schematic is very helpful. In addition to Scott, just want to say thank you for this detailed article. There are too many poorly written articles that end up being a waste of time. This is valuable, your information and work is appreciated. Thanks very much, guys. Glad you enjoyed the article. Andy…I have purchased two g19 so my wife and I can have the same pistol. The stiplejob in the picture from previous article looked very well done. I want a very aggressive grip. Do you have any articles or info detailing how you performed the work and what tools were used? should I clean up my glock after each firing? Not necessarily. Most modern firearms run just fine without fastidious and prompt cleaning. What is more important is keeping things properly lubricated. This also warrants not over thinking. Use the manual or manufacturer’s guidance. I’ve gone hundreds to even thousands or rounds on a G19 without cleaning, and when I do, it’s generally just a wipe down with a paper towel, a decent barrel cleaning, and add just enough lube to the right points. I think you don’t have to “clean” your weapon every time, but it’s important to neutralize the powder in your barrel after every shooting event. For reliability the ramp of the chamber should be cleaned and that section should not contain oil. That’s it. Maybe you will clean the saddle slideways and put 1-2 (not more!) drops oil on the components according to the instruction and you clean the components a little bit with a toothbrush. Some guys clean after a few 100 rounds the barrel with ammoniacal barrel cleaners (e.g. ballistol solo mil). Some people say, that you don’t need that, because it’s not accurate like a rifle and the layer of tombac won’t get thicker after a amount of rounds. So there are people the just use a standard CLP oil and just use the glock plastic brush for the barrel. I know i am a little late to reply, here. I just read the article and found it very helpful. Thanks for that. My question is concerning the last paragraph under “honorable mentions”. Is the striker, striker spring and spring cups going to be covered if i buy an OEM complete glock firing pin assembly? This part includes firing pin, glock spacer sleeve, spring cups and glock 5lb firing pin sleeve. Part number GLO-49COMPLETE. Thanks. So I am completely new to this world and had a question about round counts. Along with the amount of rounds fired, is it also important to keep a log on dry fire practicing? I have started practicing mag reload with a “slingshot” technique and wondered if that would cause need for more lubrication in the future. Welcome and hope you keep up the training. As for dry-fire round counts, it is necessary if you have a purpose for keeping count. If you don’t have a plan for what to do with that data, it will do you no good. As for slingshotting the slide, it has no effect on the need for lube. Glocks require precious little lube and just a single drop in each slide rail will be fine for hundreds or even thousands of rounds (best to clean after each firing session or two, anyway).